Thanksgiving Weekend — some might call it the Super Bowl of shopping — is here, and it’s set to hit record numbers, according to analysts. About 164 million people plan to shop from Thanksgiving Day through Cyber Monday, according to this year’s annual survey by the National Retail Federation and Prosper Insights and Analytics. In October, the retail group predicted that shoppers will spend an average of $1,007.24 this year, up 4.1 percent from the $967.13 survey respondents said they’d spend last year. While this is good news for retailers, it’s also ample hunting ground for hackers and cybercriminals looking to score consumer information. Experts warn that while traditional techniques like phishing are still popular with cyber thieves, new methods using ads and offers on social media platforms are also gaining traction. An undated stock photo of a woman online shopping. ABC News asked security experts from IBM, Google and Facebook for online shopping advice. Here are 10 tips for safer shopping. 4. Think: Do you really need an internet-connected device? “Credit cards offer consumers more protections if a card is compromised. 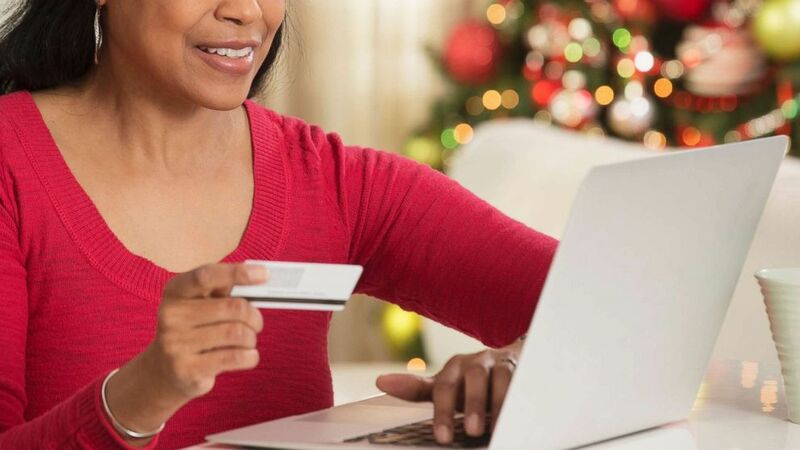 More importantly, it won’t impact your checking account during the holiday season if there’s an issue.